IMCDb.org: Volkswagen Kombi [Typ 2] in "The Stabilizer, 1986"
Not a 1972, this front end didn't exist until MY1973. 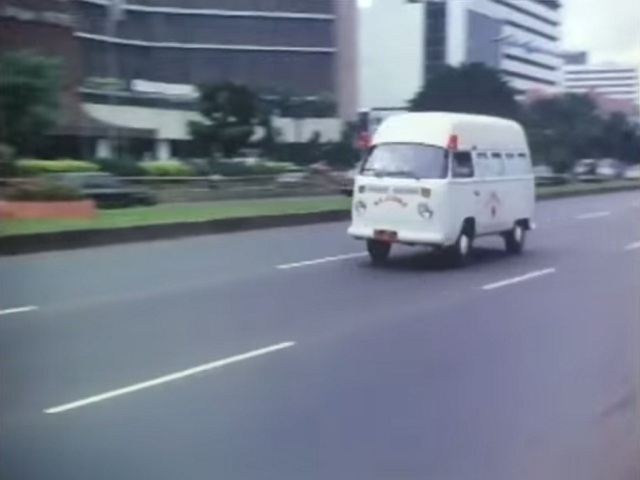 Not a Krankenwagen or even a T2, looks like a Brazilian T2c (bumpers, body) with a Hochdach-Transporter roof? It does looks like Brazilian Volkswagen Kombi with this top. See the side windows.